Do you own an apartment building on Long Island, New York City or New Jersey, and want to upgrade your old apartment building’s audio intercom to a new video intercom system? In many cases Total Security can upgrade your current audio intercom system for a video system using your existing wire. Total Security often uses a two-wire system which typically allows existing lines already in place to be utilized. This can cut the cost down considerably since wiring and labor is usually comprises up to one third of the installation cost. This is a huge savings for our customers, especially for those who have buildings with 24 to 48 plus apartments, or those with 100 plus apartments. A great feature we can install, is a digital intercom directly by the outdoor main entrance station of your building. This makes it easy to find a tenant and is less cumbersome than having a paper directory with a long list of tenants, especially if you have a building with over 48 apartments. These units are clean and sleek, and Total Security can install a custom steel faceplate to retrofit the new intercom panel to replace the old one. If your building is located in a more rugged environment, we can also install a vandal resistant panel that can withstand the elements and physical abuse as well. On indoor video units, your choices include having a four or seven-inch monitor installed, which can either be equipped with a handset or be hands free, which allows your tenants to see, speak and activate the door release to let visitors in. If your building currently has an existing audio-only telephone entry system that dials the tenant’s home phone or cell phone, it usually can be upgraded to an IP Video Intercom which will allow some tenants to still receive calls to their home phone as well on their smartphone. The live video show who is at their door is accessible and transmitted through an app on their smartphone. This means your tenants do not even have to be home to see who is ringing their bell. Some of the quality brands used by Total Security include Comelit, AiPhone and Siedle. The Comelit App enables users to answer calls from anywhere, respond to intercom calls and view video entry calls. All of these brands offer top-rated products that provide more than standard door entry communications, which is why they are utilized by Total Security. With many different options, Total Security can design an apartment security system to fit your budget. Call us today for a FREE evaluation. We are licensed and insured, proud to have an A+ BBB rating. 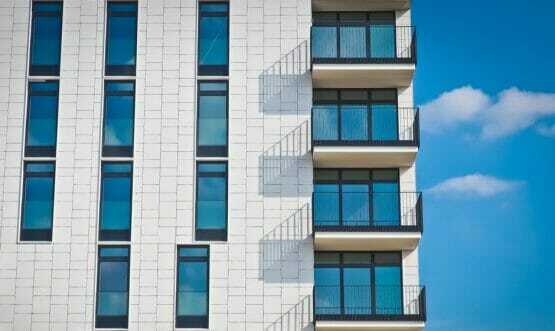 Create a safe environment for your apartment building today by ensuring​ ​your intercom system is upgraded. ​ ​Total​ ​Security has over 15 years of experience in installing intercom monitoring and access control systems. We provide security services and products​ ​to apartment buildings on Long Island, NYC and New Jersey. ​ ​Contact​ ​us​ ​today​ ​to​ ​learn​ ​more​ ​about​ ​our apartment building security​ ​services. ​ ​Call​ ​our​ ​support​ ​staff​ ​at​ ​​(516) 775-2304​​ ​(New​ ​York​ ​location)​ ​or (201) 594-7233​ ​​(New​ ​Jersey​ ​location).